The Las Vegas Sports Monitor has a Free NFL Sports Monitor Service providing NFL Football handicapper monitoring for the top NFL sports handicapper picks. 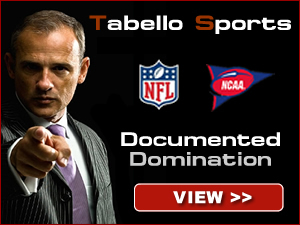 Some of the best handicappers are featured like Hammer the Book, Doc Sports, Anthony Tabello and more. Some nfl sports bettors have heard of these names, but now you get to see their documented records and get some free picks at the new Free NFL Sports Monitor right here on LVSM. Keeping tabs on the current ncaa football season and grabbing some picks is just a few clicks away. LVSM has the handicappers with the info you need and best of all they release some games at no cost. The Free College Football Sports Monitor is one of the most popular spots to hit for saturdays action. Cover the spread and slam your book using the free sports picks in college football right now. Like hoops and killing the spreadω Then look at the red hot Free NBA Sports Monitor for the latest picks, trends and sports predictions all season and playoffs long. Picking NBA winners isnt easy, leave it to the experts, and as youll see they are just that, going on huge streaks covering the spreads and making boatloads of cash for their clients. NCAA basketball is madness not just in march but all season! Crazy home field advantages and fan bases, plus fast games make it very appealing to bettors to cash in on. LVSM is monitoring all of it on the Free College Basketball Sports Monitor filled with expert handicappers info, picks and more. Crack the bat and your book using our newly revamped Free MLB Sports Monitor area. Loaded with picks on the moneyline, runlines and totals, these free picks are big money makers all summer long. Hit the ice with huge moneyline and puckline picks at the Free NHL Sports Monitor direct from the best hockey handicappers. Hockey offers some of the best value in terms of betting, and winning at a high clip is very possible. Many sports bettors have losing records based on the picks they have bought (It hurts losing money on the picks and the actual bets.) We want you to have the chance right now to start winning again, and Las Vegas Sports Monitor cares about giving you "NO GAMING" handicapper sports betting results, with the best NFL sports picks from the best handicappers. Call the LAS VEGAS SPORTS MONITOR for our documented results and our Free NFL Sports Monitor Picks.